The Ageing Well National Science Challenge and Brain Research New Zealand (BRNZ) have just agreed to co-fund three research projects led by BRNZ investigators, awarding a total of $277,339. 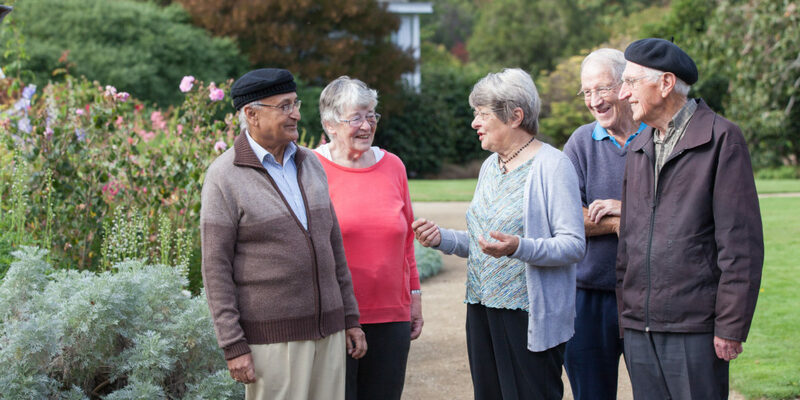 This co-funding marks the first step in a partnership that Ageing Well and BRNZ plan to strengthen over the years to come, with likely further collaborative support for research projects in the future. Despite 80% of strokes being preventable, the number of people affected by and dying from stroke is increasing around the world. Moreover, midlife vascular risk factors are shown to be associated with later life cognitive impairment and dementia. The recent New Zealand Health Survey showed that the prevalence of modifiable risk factors in NZ is high. The aim of this study is to determine the long-term effectiveness of Health and Wellness Coaching (HWC) intervention in reducing cardiovascular disease risk and prevention of cognitive impairment compared to usual care. It investigates the effectiveness of HWC, targeting people in the community with a moderate to high cardiovascular disease risk in a randomised control trial. HWC is a client-focused, cost-effective and widely applicable multi-dimensional behavioural intervention which has been shown to empower and sustain behaviour change to improve health and enhance wellbeing in people with chronic disease. This new funding will allow the current study to extend the length of the follow-up to include an additional assessment at three years post-randomisation. Cognitive Stimulation Therapy (CST) is an evidence based non-pharmacological treatment for people with a diagnosis of mild to moderate dementia. It aims to actively stimulate and engage people with dementia, whilst providing an optimal learning environment and the social benefits of a group of six to eight participants with two facilitators. CST has been shown to improve cognition, quality of life and communication. CST to other cultures and ultimately, will have direct benefits to Māori and Pasifika people living with dementia and their whānau. Two adapted CST manuals (Māori and Pasifika) will be used to train CST facilitators to deliver an evidence based treatment to Māori and Pasifika with dementia. Pacific people in New Zealand have the highest reported rates of ageing-related diseases and chronic conditions. Pacific older people have poorer physical and mental health than non-Pacific older people, and experience unmet health needs and barriers to accessing health care. The number of Pacific people with dementia is predicted to increase, and there is reason to suspect that the incidence of dementia may be higher in Pacific people due to the presence of higher risk factors. This research aims to investigate what information and services are currently available and used by Pacific people and families affected by age-related cognitive impairment, and to explore unmet needs for information and services. The findings will be valuable in developing ways and mechanisms for delivering any new preventative measures and early interventions.